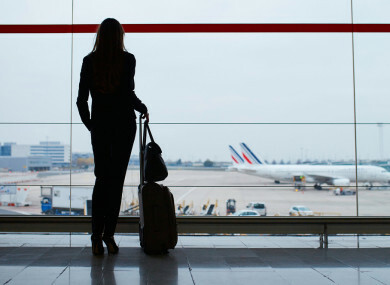 SOME 3,091 WOMEN and girls travelled from Ireland to England and Wales for abortions in 2017, according to new figures released by the UK Department of Health. This means Irish women and girls accounted for over six in 10 (64.3%) of the non-resident abortions carried out in England and Wales last year. The figure also represents a further decrease in the number of women giving Irish addresses at abortion clinics in England and Wales. The number of women and girls giving Irish addresses in England and Wales at abortion clinics has decreased from 3,265 in 2016 to 3,091 in 2017. The figures, released today by the UK Department of Health, also shows that another 919 women and girls gave addresses from Northern Ireland last year. The vast majority of the women and girls who gave addresses from the Republic of Ireland lived in Dublin – 1,184. Looking further back, a total of 3,451 women and girls gave Irish addresses at English and Welsh abortion clinics in 2015, a total of 3,735 in 2014 and a total of 3,679 in 2013. The statistics follow Ireland’s Eighth Amendment referendum two weeks ago, in which Irish citizens voted by 66.4% to 33.6% to remove the Eighth Amendment from the Constitution, paving the way for the legislation of abortion in some circumstances. Taoiseach Leo Varadkar told the Dáil last week that he expects abortion legislation to be enacted in Ireland by January 2019. He said that he didn’t think it realistic that legislation would be enacted prior to the start of 2019, but that a first vote on the pending legislation should happen before the Dail’s summer break. The HSE Sexual Health and Crisis Pregnancy Programme (SHCPP) has also reported that women from Ireland are continuing to contact online providers of abortion pills in large numbers. One online provider, Women on Web, reported that 1,217 women from the Republic of Ireland and Northern Ireland “received the medical abortion pill” from their service in 2017. “If a woman takes an abortion pill and has prolonged heavy bleeding, bad pain, faints, or experiences other complications, we strongly encourage her to attend an emergency department or GP straight away,” Helen Deely, programme led for the HSE Sexual Health and Crisis Pregnancy Programme said. If a woman is in any way concerned about her health following taking an abortion pill or travelling abroad for an abortion, we encourage her to attend a post-abortion medical check-up funded by the HSE. These services are free of charge and the full list of services is available on www.abortionaftercare.ie. “Anyone experiencing a crisis pregnancy should be aware of the support available to them free of charge. There are HSE funded crisis pregnancy and post-abortion counselling services in over 30 locations nationwide,” Deely said. A list of crisis pregnancy services is also available on www.positiveoptions.ie. Email “Over 3,000 women and girls travelled from Ireland to England and Wales for abortions last year ”. Feedback on “Over 3,000 women and girls travelled from Ireland to England and Wales for abortions last year ”.